For the 22nd installment of DIFFA New York’s Dining By Design, design firms across the city mobilized to produce 23 carefully curated dining vignettes that raise awareness for individuals impacted by HIV/AIDS. Gensler New York’s 2019 design concept, titled “You Are Beautiful, ” was led by Ed Wood, Megan Dobstaff, Amelia Falco, and Jessica Beck, and served as a celebratory reminder to all those individuals living with HIV/AIDS that they are BEAUTIFUL both inside and out, they deserve enduring happiness, and, most importantly, they are not alone in their fight. In partnership with Knoll, EvensonBest, and MillerBlaker, the free-standing vignette perceives the idea of joyful inner beauty too abundant to be contained. 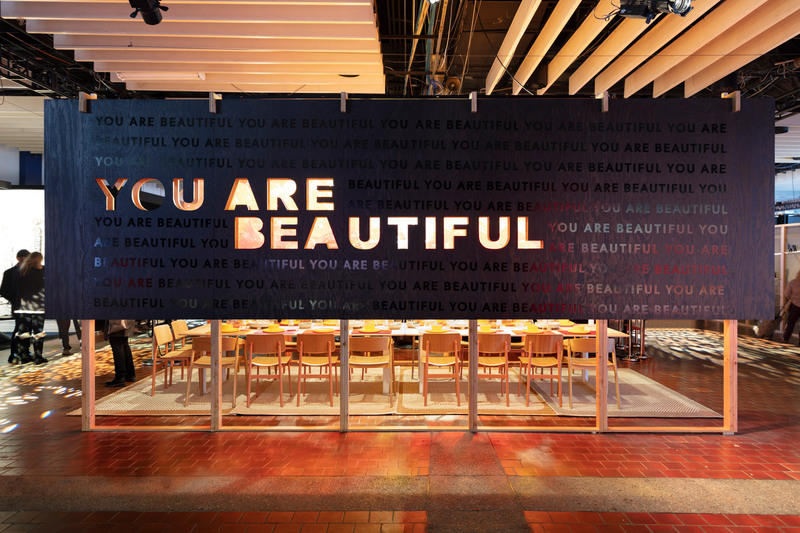 The raw and honest space, flanked by stained plywood, reveals the cut-out and applied “You Are Beautiful” message luring guests to peer inside. A warm color palette informed by the branded red color of an AIDS ribbon articulates the vibrant interior featuring furniture and tabletop accessories by Muuto and Filzfelt. Finally, a series of transparent beach balls dance above the table representing playfulness and lighthearted respite to spark conversation and empower the values of enduring happiness. Table designs were on display March 21 through 24 at Manhattan’s Pier 92 to coincide with the annual Architectural Digest Design Show, with the event culminating in a gala dinner Monday evening, March 25. 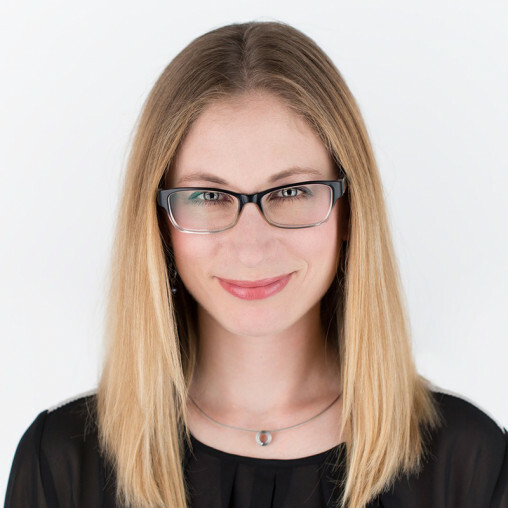 Laurel is a marketing specialist at Gensler New York, dedicated to the firm's Brand Design and DXD studios. With more than a decade in marketing and editorial for the A&D community, she is passionate about engaging her audience and activating the diverse facets of a powerful brand. Contact her at .